The Body Shop have got some amazing new lines this Christmas, including this brand new bath jelly. I love a good pampering around this time of year, don't you? The cold nights setting in just makes an hour or so in the bath after a long day of Christmas shopping all the more inviting and much needed! I don't do my baths by half that's for sure and I'm constantly on the lookout for something to make it just that little bit more special and relaxing, it's my favorite way to treat myself and kick off a good pampering session. The Body Shop have brought out three festive fragrances this year; vanilla brulee, frosted cranberry and glazed apple. All of which are sure to put you in the Christmas spirit and make the perfect gift for that someone special in your life. I was completely taken with the vanilla brulee fragrance and just knew I had to try something from the range. When I went to a little bloggers event in my local store last week, the shop assistant got very excited about the bath jelly line they had launched. Bath jelly isn't something I've ever used in the bath, usually sticking to bath bombs, fizzes and regular foams. The bath jelly is certainly something different. 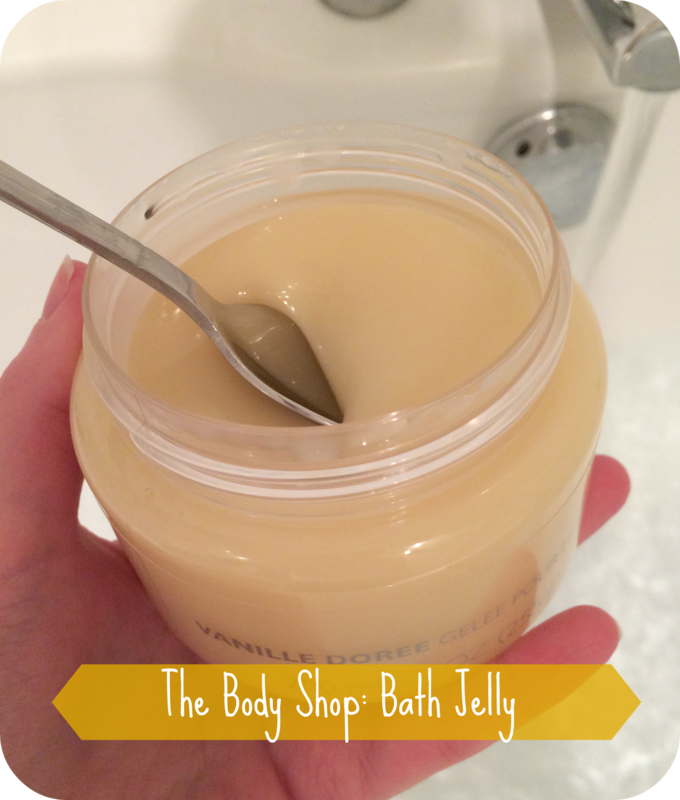 Let's start with the fragrance, the vanilla brulee bath jelly I picked up smells amazing! I love creme brulee, so why wouldn't I want to smell like one? Of the three fragrances on offer this Christmas, vanilla brulee hit the spot for me. It's a sweet, delicious scent that smells exactly like the dessert. Once you get this running under hot water, your bathroom smells like a fancy pants patisserie in France. The consistency is where this product really captures the imagination, it's like flubber. Yup, you read that right! How much did you love that film as a kid? Imagine having your own big yellow goopy flubber bath buddy? No matter how old you are, you never get old for goop that's for sure! How does it work? It can get a little messy so I wouldn't go diving in with your hands, but grab a big table spoon and scoop it out with that. Make your you scoop it over the bath as it will drip a little - try not to get it all over the tub unless you don't mind a big goopy mess on the side of your bath! Once you've got your bath jelly out and on the spoon, thrust that spoon into the running bath water and start moving it around in a figure of 8, as though you're waving a magical bubble wand! 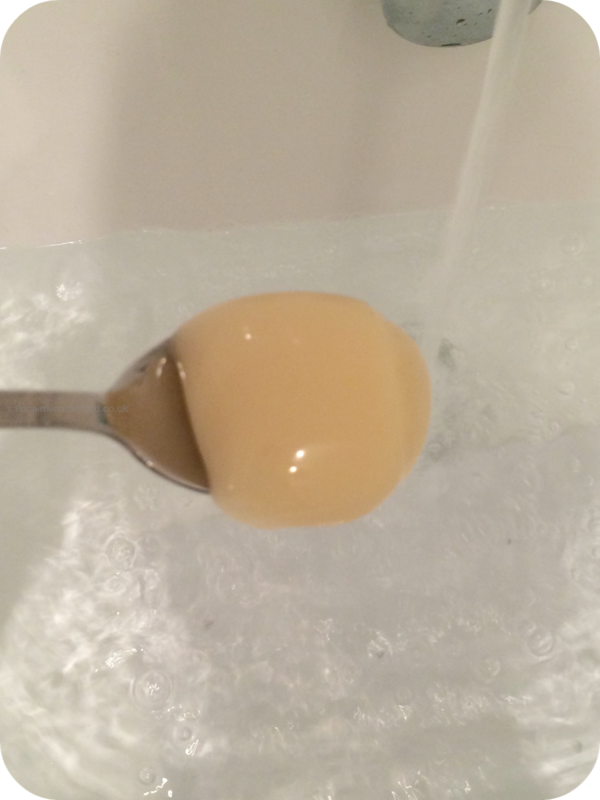 I found it did fall off the spoon pretty quickly so I had to scoop it up out of the bath water and swish it around a bit more but it still worked really well. 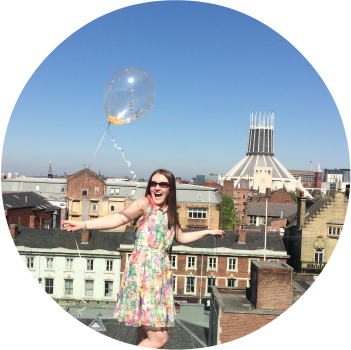 Bubbles, bubbles everywhere, seriously! One heaped tablespoon in the bath and the bubbles where literally overflowing out of the water and down the side, I can't remember the last time a product foamed up that much with so little! The bubbles smelt great but I found the smell didn't linger too long which was a bit of a downer, but I could still smell the vanilla brulee in the air. 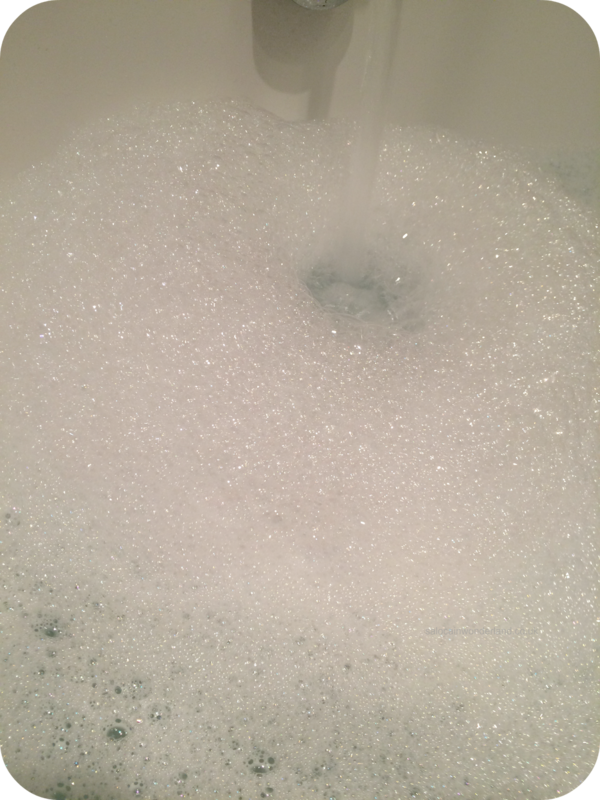 The bubbles where super soft and my skin felt pretty moisturized afterwards! As bath products go, I loved this bath jelly from The Body Shop, it would make a great stocking filler this Christmas and it's a real treat for someone special in your life. You can pick one up from The Body Shop for just £10. Have you tried any of the bath jellys by The Body Shop or have you got your eye on something else from their festive range? Let me know in the comments below! It's a must! The scent is so delicious, only downside is it really makes me crave the actual creme brulee haha!